I was interviewed by Christopher Blackwell for the Imbolc edition of the ACTION newsletter, and thought I’d reprint it here for you. Check out the full issue–there are awesome interviews with Conor Davis, Niki Whiting, Anomalous Thracian, and others! Rhyd Wildermuth writes a groups column Patheos called A Sense of Place, a columnist for The Wild Hunt, and he occasionally writes for Polytheist.com. He has also published a book called Your Face is a Forest. Naturally I had to try to interview him and fortunately he consented to this interview. Christopher: What kind of background were you brought up in? Rhyd: How long do we have for this story? I think the word poverty defines my younger years quite well. Actually, on second thought, perhaps all my years. Not of course that I wish to be defined by poverty, only that it inescapably defines one. I was born in the foothills of Appalachia to a mentally-disabled mother and a factory-worker. We lived in a draughty A-frame house with an open-sewer and broken appliances on our front porch; all the stereotypical evocations of American poverty applied. Still a bit rough-edged, I think. Not having money meant all the polite things people with money have to do in order to hold onto their money never applied to me and made no sense. And I’m awfully glad of this and glad of being born to horrible circumstances in general. It means I can talk to all sorts of people that most people ignore, and have a much different perspective on the illusory benefits of modern society in general and capitalism in particular. Christopher:How did you find yo ur way to becoming a Druid? Such stories slowly became a bit maddening, as not only did I not know how to shape-change, I began to become frustrated by the idea that there was some dream version of me who knew how to do such things well enough to teach others, but not teach me. After a rather difficult winter, I finally signed up for the Order of Bards, Ovates, and Druids, and then a week later Brighid showed up, before any of the lessons had even arrived. Christopher: Even with Druids, few seem to get swept up with their gods. How did that happen to you and why? There are a few who do some incredible work with gods. John Beckett, for instance, is relentlessly my hero and does more writing about the gods than any other Druids I’ve read. Ian Corrigan is another. But even within my own tradition, emphasis is not quite on the gods. It’s possible that, since OBOD does not have any requirements regarding belief (one can be an Atheist Druid within OBOD without anyone blinking an eye), there’s some hesitancy of other Druids to speak much about their experiences. Also, many other druid writers speak more on social issues (particularly environmental issues) than the gods. This is hardly a bad thing, but it leaves a massive void for anyone looking for how the gods relate to Druidry. How it happened to me is an interesting matter. They just showed up, I guess. Brighid and then Bran, then Ceridwen and Arianrhod and the very wild ride that is Dionysos. Then others. Lot’s of ‘em. I make no pretense that I’m anything particularly interesting to the gods. I mean, I spill tea on myself all the time and can’t wake up early to save my life. But I think what happens, actually, is that noticing the gods and actually treating them like they’re not figments of your imagination or archetypes means that you’re taking them seriously. Trees and people like to be taken seriously; so do gods. Christopher: In some ways you seem a man outside of his time or born beyond it. I think is some ways you would have fitted the 1960’s better? Why is that? To be honest, I don’t really know why I’m uncomfortable with the modern. Aesthetics are an issue, certainly. I’m awfully fond of the art and culture of centuries past. But upon further thought, I suspect my impoverished upbringing has much to do with this, too. The poor are the same in any century. Nothing changes for them, except for the distractions given to them to keep them from revolt, or, as Oscar Wilde biting asserts “amusing the poor.” The grand technological advances touted by the proponents of progress and capitalism change nothing for the poor, but the middle and upper classes are always keen to suggest we’ve reached some state of enlightened society because the poor have refrigerators and possibly smartphones. Many of them do, of course. But we’re still poor. That poverty creates a solidarity with peoples in all countries and all ages more than any universal liberal or democratic ideology ever could, and thus the life of a peasant in medieval Europe (with surprisingly better teeth than I have), or the impoverished laborer in supposedly primitive African or Asian societies makes more sense to me than anything the Modern represents. Christopher: Another way outside our time is being a mystic. As I recall in most religions being a mystic tended to get one in trouble with the non-mystics of many religions. Is that still true in our time? Rhyd: I’m always in trouble. A fellow Druid once accused me of being dangerous to the mental health of others, despite the fact that I work with the mentally-ill as a social worker; others have suggested I’m a dangerous radical or a fundamentalist. I’ve even had someone accuse me of supporting genocide and terrorism. I’m not sure how much of it is my mysticism (which I guess is a kinder way of describing what I used to think was just being a little too whimsical or dreamy) and how much of it is what comes from no longer caring too much about what other people consider important. An anecdote may explain this and perhaps a lot more about me. I’ve only had two hairstyles for the last 15 years, a Mohawk or a shaved head. Besides liking the aesthetic, I’ve also refused to ever pay someone for a haircut. I’ve had lovers, bosses, friends, and other well-meaning people suggest, cajole and even attempt to coerce me into growing my hair out, looking more professional or what have you. None of them got anywhere. But two months ago, as I was about to shave my head, several spirits who’ve taken it upon themselves to protect me stopped me, practically shouting “don’t shave your head.” And now I have hair again. All the worldly powers could never convince me to grow my hair out, but spirits? Of course. They know what’s up. I think the danger of a mystic isn’t anything they do. I think it’s their intractability. Listening to the unseen, to the dead or land spirits or gods rather than human authority makes you a threat, because you’re ungovernable. Christopher: How long have you been writing? Why do you write especially when it rarely pays? Rhyd: Honestly, I don’t know how not to write anymore. I started writing when I was ten or eleven. It was fun, the letters on the page fascinated me. I consumed every book in front of me, reading adult books by the time I was ten. Words are magic, pure and simple. But words are never pure, never simple. A person can be destroyed with a few well-placed words, or can become king with a well-turned phrase. I say this all now, looking back and laughing at my anger whenever I read the advice authors always give to would-be writers. They always say “write.” What sort of advice is that, really? Actually, the only sort of advice that matters. 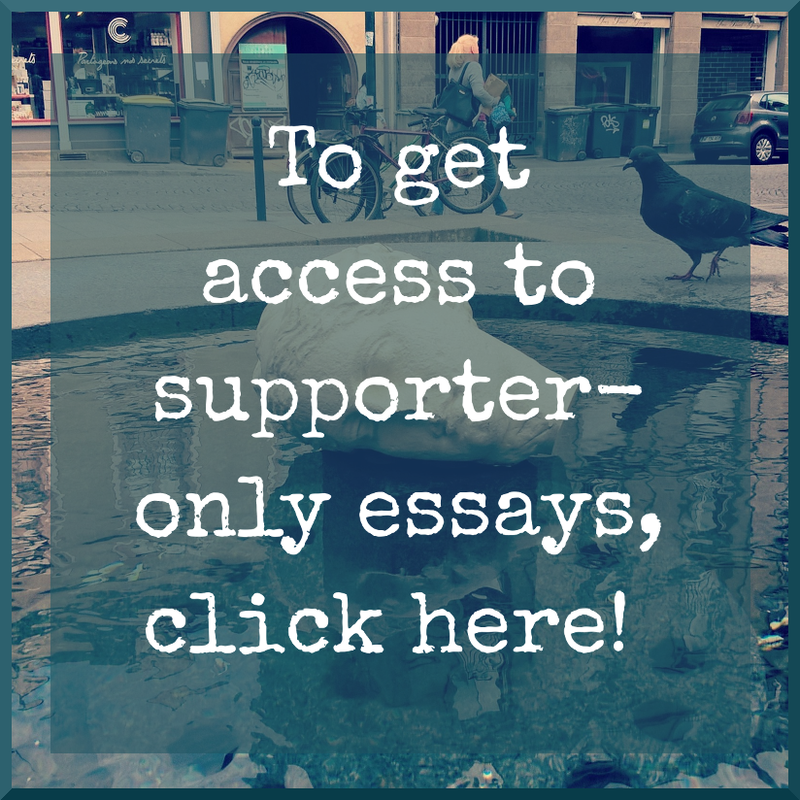 It’d be awesome to make enough money from writing that I don’t have to be a social worker any longer, but that desire comes from nothing else but demand of writing. Writing requires time; without time one cannot write. The urge to write becomes demanding and petty human concerns like rent and eating become only considerations necessary to sustain your urge to write. Christopher: What are some of the subjects that you write about? Rhyd: I try to write about whatever seems important at the time, which isn’t always what’s important the day before or the day after. And by important, I mean only whatever is demanding to come out of my head through my fingers. Mostly though, I write about the stuff that seems important to me; gods, forests, destroying capitalism, you know, the simple stuff. Christopher: Where can people see your various writings? 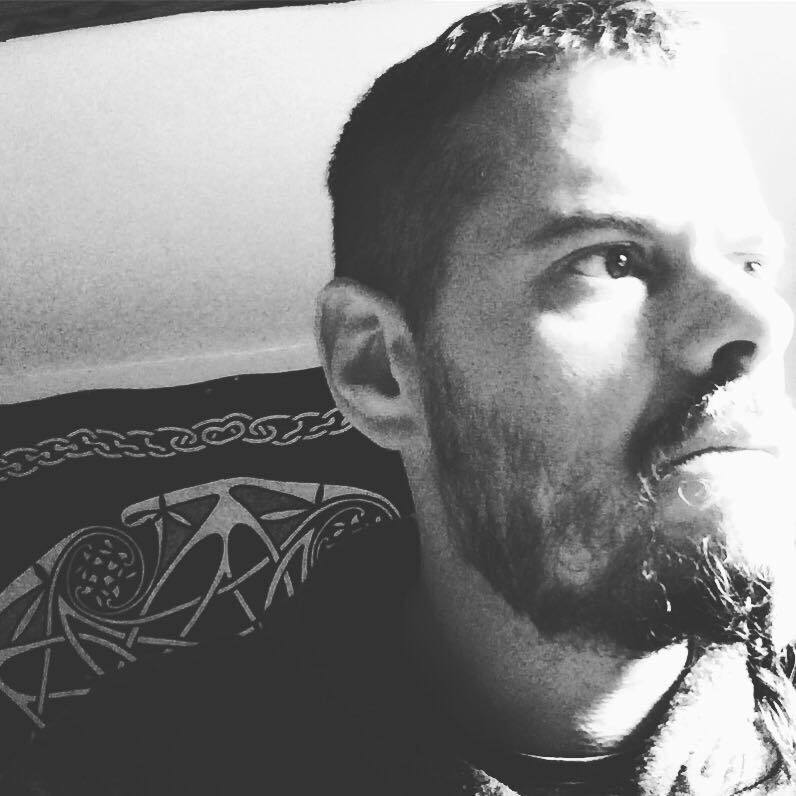 Rhyd: I write a monthly column for The Wild Hunt and a bi-monthly column for a group blog called A Sense of Place, and a very occasional column for Polytheist.com. Also, I write a lot on my blog. Those pieces are usually my favorite, the ones I like the most and don’t want to put elsewhere. 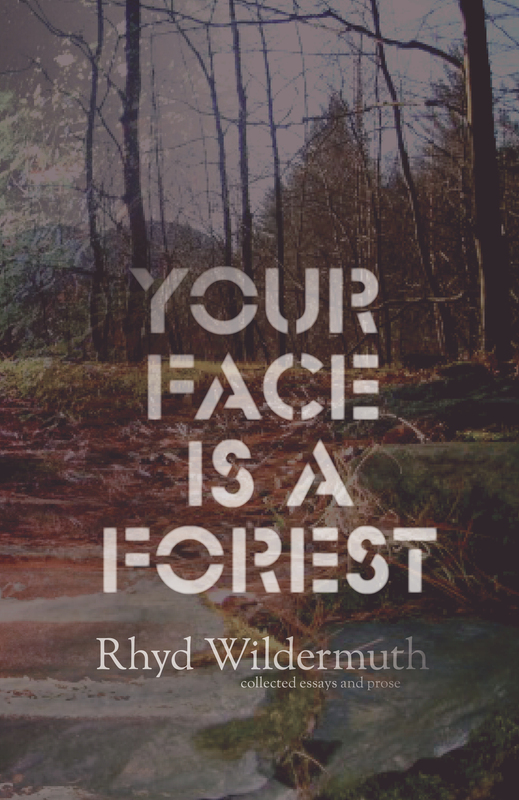 I’ve a book called Your Face is a Forest, available on Lulu.com. Christopher: You have been on several pilgrimages. Those also seem to come at very disruptive times often just when you seem about to achieve some of the things that you want in life. What makes them so irresistible and what do you gain from them? Rhyd: One doesn’t go talking to gods expecting your life to be precisely the same and normal and static. You have a series of dreams where spirits tell you things you need to see somewhere else and then a vision of a god being torn apart by ravens in a valley and then next thing you know you find yourself selling almost everything you own, throwing the rest of your stuff into a rucksack, and going to find those things. And then you do, exactly as the dreams told you, which is actually more disruptive than actually selling everything you own and quitting a job to travel around Europe. What do I gain from them? The world, I guess. Context. Confirmation. Occasionally strange gifts you didn’t expect, like learning how to… um, shapechange. Christopher: You cover them in some detail on your blog don’t you? Rhyd: Yes. Actually, I guess that’s another thing one gets from pilgrimages, thousands and thousands of words, some of them even good words. I wrote about both my pilgrimage to Bretagne in 2013 as well as my recent pilgrimage to Ireland and Wales in December. They can all be found on my blog Paganarch, Paganarch.com. Christopher: You have recently published your book Your Face is a Forest. Would you tell us a bit about it? Rhyd: Yeah. I like that book. I’ve read it myself a couple of times actually. Is that weird, I wonder? I read all my stuff several times after I’ve written it. I write the sort of stuff I wish I got to read, and so sometimes I pretend I didn’t write that stuff and read it like it was someone else. Sometimes it even feels like it was. Face Is a Forest is a collection of some of my more prosaic pieces that I wrote in several places. A good friend of mine told me, after reading something that I’d written about Dionysos, that the internet felt like the wrong place to read it, that it should have been on paper, instead. I think he was right. I prefer an older-style of prose, with longer sentences and contorted structure and archaic words that don’t play well on a hand-held screen on a bus commute to work. Everything’s all about clarity and short sentences and “too long, didn’t read” on the internet now; another reason why I don’t get along so well with the modern. Christopher: Where can one buy it? Christopher: Is there anything else that you would like our readers to know? Rhyd: Uh, yeah! Capitalism is quite horrible, and trees are awesome. Just been reading it great interview. rather spiffy edition. I am getting interviewed in the next week or so for a future issue and quite looking forward to it. Yay! Can’t wait to read yours! Get your other commitments sorted first, then worry about Her. I prefer an older-style of prose, with longer sentences and contorted structure and archaic words that don’t play well on a hand-held screen on a bus commute to work. Everything’s all about clarity and short sentences and “too long, didn’t read” on the internet now; another reason why I don’t get along so well with the modern. You tell a story, first and foremost. You tell it with old-story first-person narration, in an older way of speech. You lure the reader into the story, which is fleshed out by asides and odd details, and occasional tangents. You paint a picture for the reader’s mind’s eye. You make us care. That’s one reason why many readers like you.